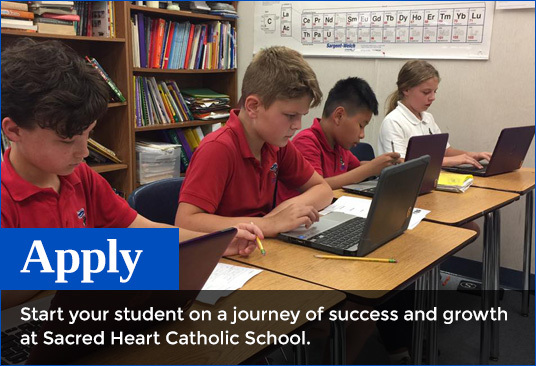 Sacred Heart Catholic School is a comprehensive, co-educational, college-preparatory school founded in 1900 by Father Sylvester Greimel and the Sisters of Mercy. 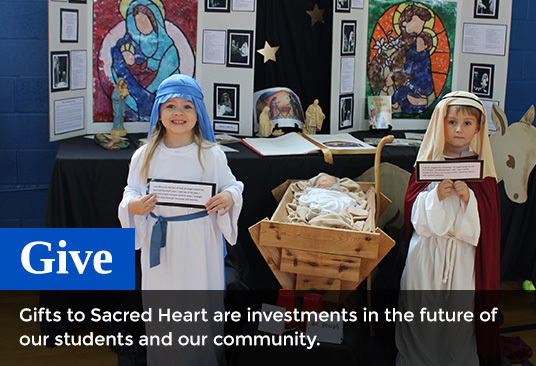 With an enrollment of more than 750 students in pre-kindergarten through 12th grade, Sacred Heart is located on two campuses in historic downtown Hattiesburg, Mississippi. 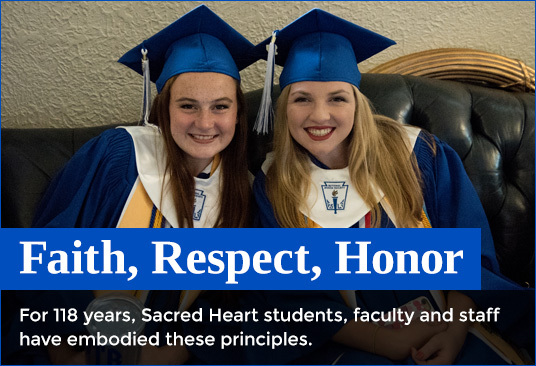 As a ministry of Sacred Heart Catholic Church, Sacred Heart offers its students a solid foundation centered on faith and values with a focus on individual growth, academic excellence, and community service. April 22, 2019 Salute! Sacred Heart, the PTO's primary Spring Fundraiser, was held at the home of Pam and Carr McClain on Saturday, April 13th. 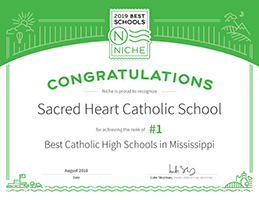 March 15, 2019 On March 2, 2019, Sacred Heart’s Mock Trial Team won the Mississippi High School Mock Trial Competition in Jackson, defeating Mississippi School of Math and Science.